4 August 2014. A coalition of research institutes and universities working in neuroscience are constructing a common format for sharing data about the brain to make emerging databases more useful to researchers. The Neurodata Without Borders project is an initiative of Allen Institute for Brain Science, California Institute of Technology, New York University School of Medicine, the Howard Hughes Medical Institute (HHMI) and the University of California in Berkeley, with funding from GE, Kavli Foundation, Allen Institute, HHMI, and International Neuroinformatics Coordinating Facility. The field of neuroscience is growing quickly, with more researchers capturing greater volumes and more types of data. 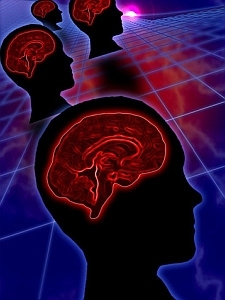 The field is also one where collaboration and data sharing are not only highly desirable, but also encouraged by undertakings such as the Brain Research through Advancing Innovative Neurotechnologies (BRAIN) project in the U.S., and sometimes mandated by funding agencies like National Institutes of Health. Neurodata Without Borders aims to break down the barriers and silos inhibiting the flow of neuroscience data to the broader scientific community. A team from the participating institutions will first concentrate devising a common data format for sharing cell-based neurophysiology data, including electrical and optical recordings, the kind sought most often by researchers building models of brain functions. The project has a one year timetable. A key part of the project will tackle a common solution for data that describe the information collected about brain activity. These data about data are known as metadata and include key variables such as data collection methods and behavior of lab animals during data collection, as well as rudimentary details such as the gender and age of the animals. Neuroscience or CRCNS, a repository at UC-Berkeley that already stores two lab animal data sets from participating research labs, with plans to add two more. The team then expects to invite proposals from data modelers and vendors for common formats to store the data. The project also plans to write application program interfaces or APIs that make it possible for software developers to easily access the data in the common format. A Neurodata Without Borders Hackathon — an intensive, hands-on codefest to write software — is planned for 20-22 November at HHMI’s Janelia Farms in Ashburn, Virginia.